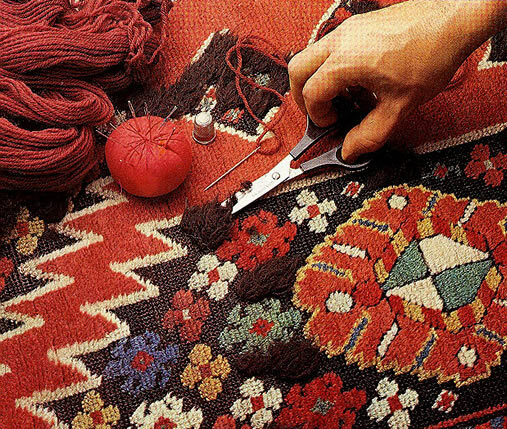 Beauvais offers full restoration and conservation services for carpets and tapestries. All restoration and conservation work is carried out in our own workshop using the finest yarns and materials available. When necessary, our craftsman will spin and dye yarn to guarantee continuity and integrity with the original material. Each restoration or conservation project is supervised by one of the gallery staff to insure that the work is consistent with the historical authenticity and quality of the carpet.